5 July 2017. A brain training game for an iPad was shown in a clinical study to improve the memory of people with mild cognitive impairment, a precursor stage to dementia. Findings from the study by a team from University of Cambridge in the U.K. appear in the 2 July issue of the International Journal of Neuropsychopharmacology. Dementia is a growing problem affecting some 47 million people worldwide, with nearly 10 million new cases diagnosed each year, according to World Health Organization. Alzheimer’s disease is the most common form of dementia, accounting for 60 to 70 percent of cases, with symptoms including deterioration in memory, cognitive functions, and ability to perform everyday tasks. Mild cognitive impairment is a noticeable loss of memory and mental function beyond normal “senior moments” experienced by people as they get older. The condition is considered an indicator or risk factor of potential further decline into dementia, but not necessarily a guarantee. Many individuals experience no further decline, and some may even improve their cognitive skills over time. A Cambridge team led by neuroscience professor Barbara Sahakian is seeking better tools to help people with mild cognitive impairment reverse their loss of memory functions. The researchers cite studies showing brain training exercises can help improve memory and cognitive function, but they often suffer from high drop-out rates, due to the amount of time involved and boring, repetitive nature of the exercises. In an earlier study, Sahakian and colleagues found turning these exercises into a game on an iPad could overcome the boredom and increase motivation to continue the exercises. In this project, the researchers used a cognitive training program developed by Sahakian and other Cambridge neuroscientists called Game Show, where the exercises are presented in the form of a TV game show. The exercises call for players to associate geometric shapes and patterns to different locations, portrayed in bright colors and a musical background, with the shapes and patterns increasing in complexity as the game progresses. 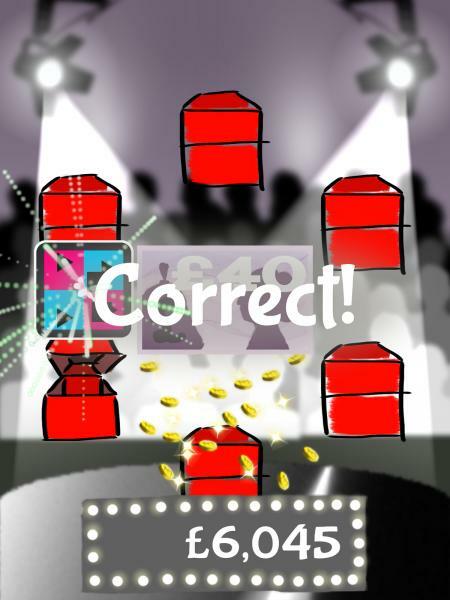 With each correct answer, the player accumulates gold coins and imaginary winnings. The voice of a game show host helps encourage players to continue. The study recruited 42 individuals with mild cognitive impairment at clinics in the U.K. to test Game Show. Participants were randomly assigned to play Game Show for 8 hours over 4 weeks, or receive the usual clinical attention. Memory and cognitive function were assessed using standard paired-associates learning tests, as well as visual memory and apathy scales. Results show participants playing Game Show made fewer association errors and improved episodic memory scores by about 40 percent. Episodic memory is remembering specific events or activities, such as where one’s car is parked or names of restaurants visited. Game players also retained more complex visual memories than participants in the comparison group. In addition, participants playing Game Show enjoyed the experience and showed no lack of motivation during the 8 hours of exercises. The researchers plan to test Game Show with a larger sample of individuals and measure longer term impact of the app. Sahakian is a scientific advisor to Peak, a spin-off company from Cambridge developing brain-training apps for mobile devices.